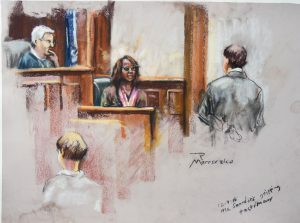 Robert has been doing courtroom sketching for the last two years, as an extension of his work as a quick-sketch artist and as a portrait painter. 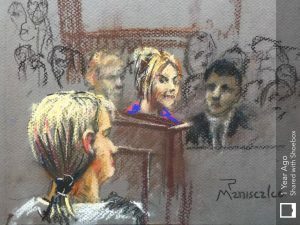 With his extensive background he is able to capture the mood and expressions of the key players, sometimes in as little as a 15 minute arraignment. 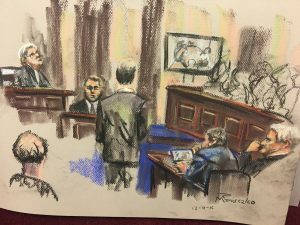 Robert has produced sketches for CNN, FOX, NBC, CBS, ABC and numerous print media all over the world, quickly establishing himself as one of the top courtroom sketch artists in the country. He is available within a 250 mile radius of Charleston, SC. 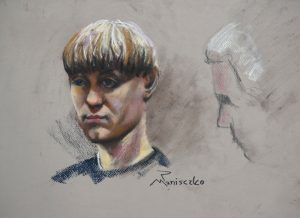 Here’s more about my recent sketching of Dylann Roof.